The 12-bout lineup for “UFC Fight Night: Edgar vs. Swanson” has been finalized. The November 22 event takes place inside Frank Erwin Center in Austin, Texas. 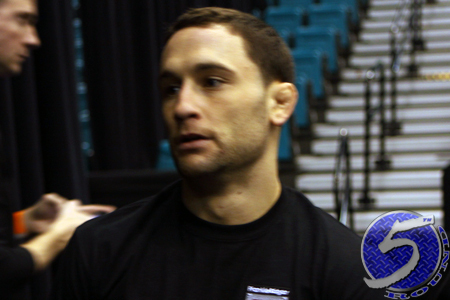 A critical featherweight shootout between Frankie Edgar (pictured) and Cub Swanson headlines the gig. It can be argued that the winner should get next dibs at the 145-pound crown, but they’ll probably have to leapfrog Conor McGregor for that spot. A lightweight showdown with Bobby Green and Edson Barboza serves as the co-main event. Fox Sports 1 will broadcast the main card live starting at 10PM ET/7PM PT.